A member of Team Canada in high school, Robert Heppenstall has never been a stranger to competition. He participated in the 2014 World Junior Championship in Eugene, OR and was the 2015 Junior Pan Am silver medalist in the 800m. 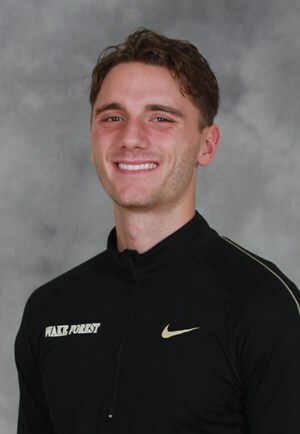 The three-time Canadian national champion in the 800m, Heppenstall came to Wake Forest with a solid resume and even more to prove. In his first season as a Deacon in Indoor, Heppenstall was the 2016 ACC Men’s Indoor Track Freshman of the Year after winning the conference 800m title and becoming a First Team All-American. He broke the Wake Forest, ACC Championships and Canadian Junior indoor 800m records with a conference title-winning time of 1:47.35. His outdoor season went similarly, as he Earned the 2016 ACC Men’s Outdoor Track and Field Freshman of the Year honor after winning the ACC 800m title and earning First Team All-America status. His sophomore year, Heppenstall earned All-American Honors after finishing third at the NCAA Indoor Track & Field Championships and First Team All-ACC honors with a third place finish in the 800m at the ACC Championships. In the outdoor season, he broke the Wake Forest school record and earned fourth in the 800m at the NCAA Championships with a time of 1:46.68 giving him All-American honors. He was named First Team All-ACC after finishing third in the 800m at the ACC Championships. In his junior season, Heppenstall finished third at the NCAA Indoor Track and Field Championships in the 800m, leading him to his fifth All-American honor. He finished third in the 800m finals at the ACC Championships to earn First Team All-ACC honors. He earned his sixth First Team All-America title with an eighth-place finish in the 800m final with a time of 1:47.14. Now, as a senior, Heppenstall capped off his final indoor season with his fourth indoor First Team All- American Selection in the 800m with a third place finish. He set a facility record at the ACC Indoor Championships in Blacksburg, Va. with a time of 1:46.87 to win his second indoor ACC title. 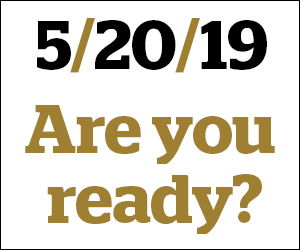 He now turns his focus to outdoor and is eyeing a NCAA title, as he cements his place as one of the most decorated athletes in Wake Forest track history. Samantha Wexler: What are the differences between indoor and outdoor training for you, if at all, and what’s the biggest difference between the two? Rob Heppenstall: Indoor training consists more of longer interval reps, longer runs and basically more mileage in order to develop strength going into the outdoor season. Outdoor season consists more of speed endurance training which is more geared towards the 800m. The training isn’t that much different, but those are some general concepts that differ. SW: The Wake Forest athletic facilities are now very updated and growing still. How does this help with the present and future of Wake Forest track? RH: The facilities we have at Wake Forest currently still never fail to amaze me. I think it’s very easy for us athletes to take what we have here for granted, as everything we could possibly want in order to become the best we can be is readily accessible. For track, it definitely helps with recruiting. I am one of few people who got to experience both our old locker room and new locker room. Having this experience really makes me appreciate what we have, and I still try to advocate for that. Whenever we have a recruit, I try to discuss how much progress we have not only made on the track but also the progress in the services provided here. We have a great training room with numerous recovery methods (ice baths, hot tub, etc.) and a fantastic training staff always willing to go the extra mile for us. We utilize the new indoor football facility sometimes when it’s too cold outside, and really we couldn’t ask for much more as athletes. Again, I am lucky to have experienced the previous facilities as it makes me grateful for what we have now. SW: In addition to representing Wake Forest, you also have had the opportunity to represent Team Canada. What does that experience mean to you? RH: Being a part of a national team is very special to me. Not only am I representing myself, but I am representing my country. Having the maple leaf on my chest gives all the incentive to compete as hard as I can. Having this experience young also makes me set a higher standard for myself moving forward. I expect a bit more from myself each year I compete. Having this experience also helps me in the NCAA, as getting to the final requires handling numerous rounds and working on qualification.